Drake says: "Players begin the game with 5 cards and they choose which number on each card they will use to bluff and win the round." 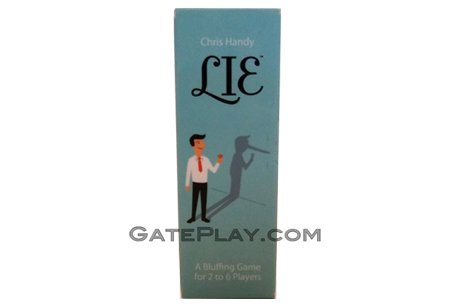 During a round, each player must either make a bid of how many of a certain die they believe are shared amongst all players chosen dice -OR- call the previous player's bluff and say, "LIE!" The loser of the round may only draw back up to 4 cards next round and play continues until just one player remains! There are several unique aspects to this 30-card mini micro game: 1. Players choose which dice they will bid and bluff with each round. 2. Each player holds extra hidden information based on which dice they DIDN'T use for the round. 3. The first player to bid in a round must choose which direction the bidding will proceed in. 4. 2 to 6 Players can play! 5. Several variants included. 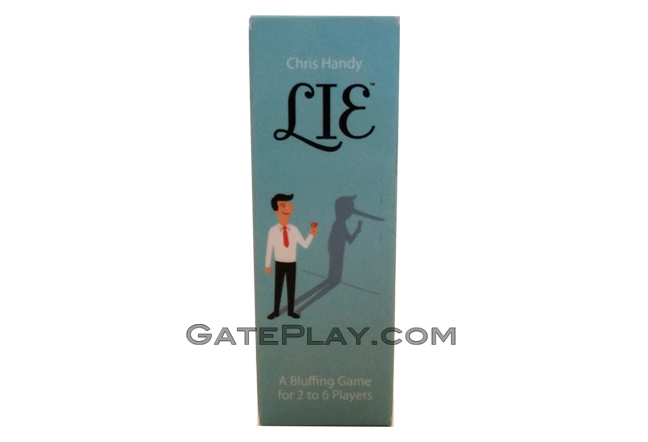 Check out "LIE" on BoardGameGeek.com!